7:00pm prompt departure Coach trip. 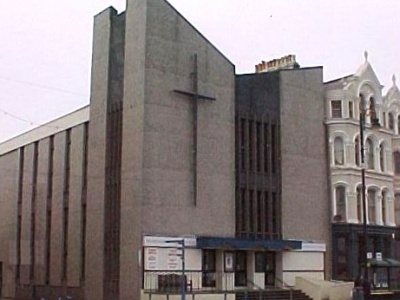 Depart from Promenade Methodist Church, Douglas, IM1 2EQ (Map ref SC 382 756) and finishing with light supper. Tour will include a visit to St Mary’s RC Church, Castletown. Cost £14.00 to include supper at Port St Mary Methodist Church (Mount Tabor). Limited numbers so booking essential. Please send cheque, payable to ‘Promenade Methodist Church’, and a stamped self-addressed envelope, to ‘Praying the Keeills Week’ c/o Foxon, 39 Droghadfayle Road, Port Erin, IM9 6EN. (Tel 833154). Tickets will be posted out during the first week of May.